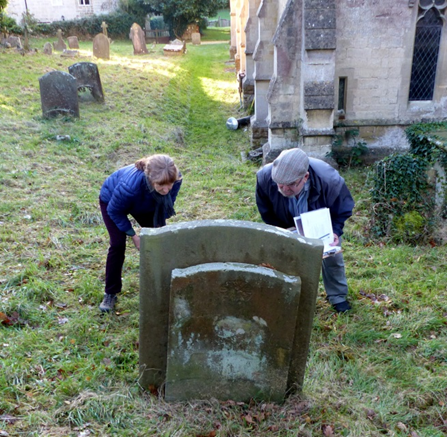 As each section is completed, the spreadsheet and photographs have been forwarded to the Gloucestershire Family History Society and are available to genealogists and local historians. 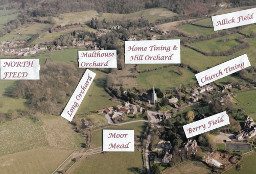 We have also worked closely with John Pinch, who is producing an updated and corrected Churchyard Plan for display inside the church. There will be an illustrated talk about the project on 5th April 2019 (see Programme of Events for details). 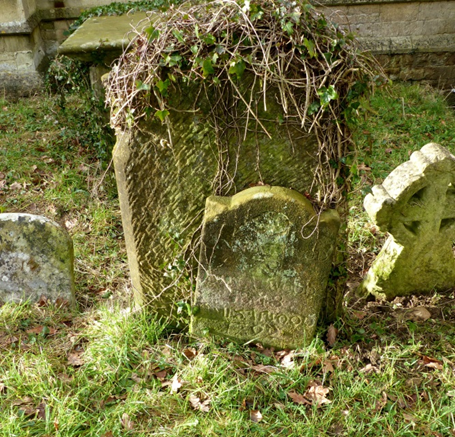 Monumental inscriptions can seem rather dull, but we promise you plenty of human interest and local colour. 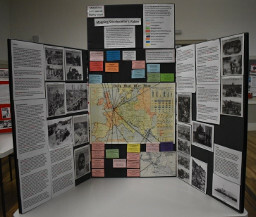 The History Society staged a well-received exhibition during the Armistice Centenary weekend in 2018, as part of a wider programme of village events. It was displayed first at the Village Hall and subsequently in St Cyr’s Church. 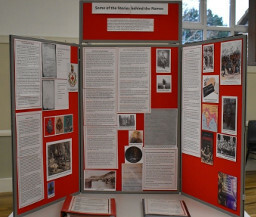 The exhibition commemorated the people named on the Stinchcombe War Memorial or on the roll of honour in the church porch. A number of people kindly lent us WWI memorabilia, including photographs, letters and interesting artefacts. We are also grateful to those who shared their information and experience from previous research and an exhibition in 2014. Last but not least, we thank a kind gentleman in Wickwar who lent us several display boards and subsequently agreed to sell them. They will be a great asset to the History Society and others. The displays told the stories of the fallen and some of the survivors, including the two women named on the roll of honour. 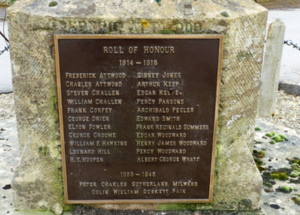 They also covered the aftermath of the Great War and looked at how Stinchcombe’s war memorial came into being. We are currently looking into the best way of making a permanent record of the project available. 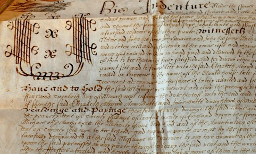 The oldest documents belonging to the Stinchcombe United Charities go back to the 17th Century. In this project we are photographing all of the documents before they go to the Gloucestershire Archives. The older ones, which are difficult to read, are being painstakingly transcribed.